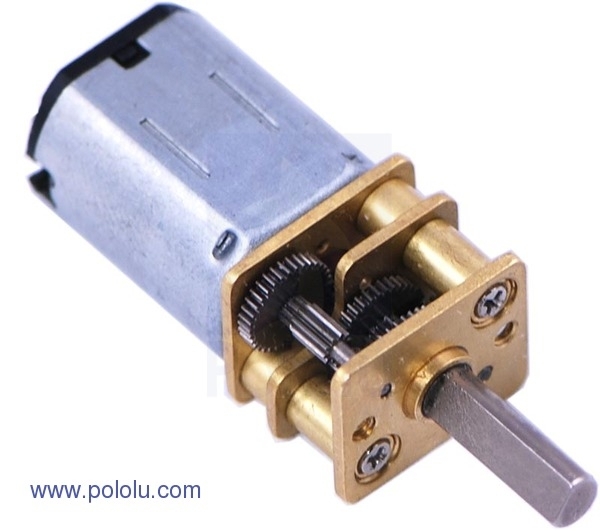 This gearmotor is a miniature high-power, 6 V brushed DC motor with a 51.45:1 metal gearbox. 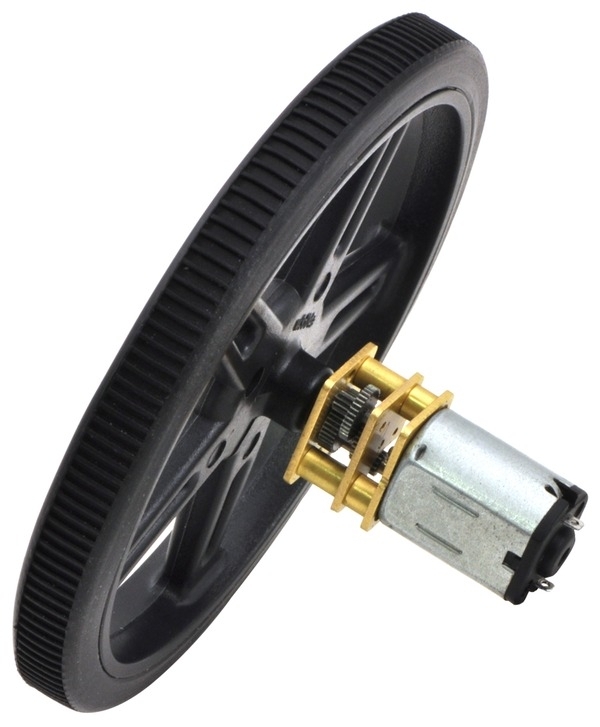 It has a cross section of 10 × 12 mm, and the D-shaped gearbox output shaft is 9 mm long and 3 mm in diameter. 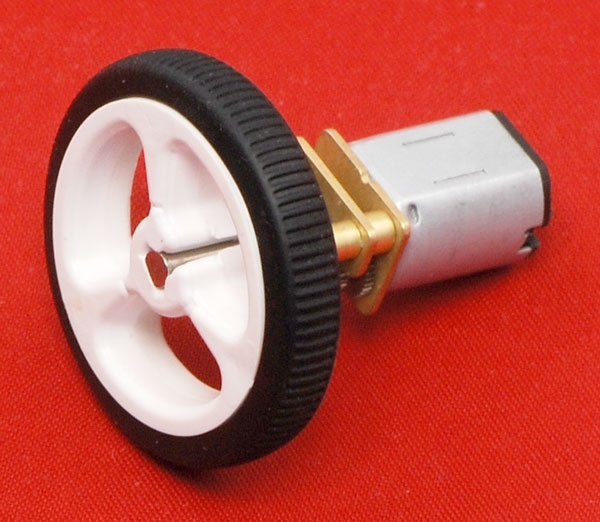 Key specifications at 6 V: 590 RPM and 70 mA with no load, 0.86 kg-cm and 1.6 A at stall.